Fort Myers’ fast-growing economy, talented workforce, and beautiful weather make it an ideal place to do business. Unfortunately, as businesses grow and become more complex, they are often faced with significant legal challenges. If you are entangled in a business dispute and need legal assistance, the Business Trial Group can help. Our business litigation attorneys handle a wide variety of commercial cases involving contract breaches, construction, investment losses, real estate, and partnership disputes, among others. But unlike other large law firm business attorneys, we work on a contingency-fee basis, so you don’t pay unless we win. To sign up for a free, no-obligation case evaluation with one of our business lawyers in Fort Myers or Naples, call us today at (239) 433-6880 or fill out our free, no-risk case review form. Our Fort Myers contract attorneys have recovered millions of dollars for clients that have suffered losses due to contract breaches and business torts. Contract disputes can happen in a wide array of circumstances including employment agreements, commercial leases, unpaid debts and promissory notes, selling and buying businesses, as well as shareholder or partnership disputes. Contract lawsuits often involve business tort claims, such as breach of fiduciary duty. A fiduciary relationship exists between two people when one person acts as a confidante or advisor to the other. In Florida, a fiduciary relationship can arise by statute, contract, or it can be implied in law when one party relies on another party to act on its behalf. Examples of this kind of relationship include, but are not limited to, those involving an attorney and a client, a trustee and a beneficiary, an executor and an heir, or a broker and a client. If you have suffered losses due to a business or contract dispute, contact us for a free, no-obligation case review with one of our legal experts. Our experienced Fort Myers construction attorneys represent owners, contractors, subcontractors, suppliers, and design professionals in disputes arising out of both public and private projects throughout Florida. The Business Trial Group has recovered millions of dollars for clients in claims related to construction defects (such as defective windows or roofing causing water damage), misinterpretation of project plans or defective designs, breach of construction contracts, and payment and performance bonds. Our construction team is dedicated to the niche practice of construction litigation and includes a Florida Bar Board Certified specialist in construction law. This honor is reserved for lawyers recognized as “experts” in all aspects of construction law and is a distinction bestowed on less than 1% of Florida Bar members. Our firm’s pooled knowledge and resources are vital when resolving the assortment of legal needs of those in the construction industry. Contact us today to get started. The Business Trial Group has helped individuals and businesses move past difficult employment disputes, including those involving unpaid compensation, breaches of employment contracts, tortious interference with contracts, misappropriation of company property and trade secrets, and tortious interference. The Business Trial Group’s Fort Myers employment contract lawyers have extensive experience handling disputes involving employers’ failure to pay compensation. Although Florida is an “at-will” state. employment contracts can create an exception to the at-will doctrine and provide that an employee may only be terminated under certain conditions. Moreover, employment contracts often establish an employee’s right to salary, commissions, severance, equity/shares, or other benefits that cannot be withheld simply because the relationship is terminated. Our Fort Myers employment lawyers can review the terms of your agreement and determine if your employer has violated its obligations, so you can assess your legal options. Our contingency-fee business model allows individuals and small businesses with a rightful legal claim to file a lawsuit and prevail, regardless of their financial strength. If you are faced with an employment dispute, turn to us for help. We will review your case for free and help you understand your options. If you suspect that you have been the victim of intellectual property infringement or related misconduct, you should speak with an attorney immediately to learn how you can protect your rights. Damages for intellectual property infringement can include lost profits, royalty payments, and, in certain circumstances, treble (triple) damages. To speak with our Fort Myers intellectual property lawyers, contact the Business Trial Group today. Our Fort Myers securities attorneys represent investors and shareholders who have been damaged due to the negligence or fraud of investment advisors, stockbrokers, and other financial professionals. We have helped clients file securities lawsuits for breaches of fiduciary duties, unauthorized trading, unsuitable investments, churning, and securities fraud, among many other types of misconduct. If you have suffered significant losses in stocks, mutual funds, bonds, commodities, or other types of investments, contact us immediately to have your case reviewed. Cases involving financial advisor or stockbroker misconduct are usually brought through the Financial Industry Regulatory Authority (FINRA) arbitration process. It’s important to seek counsel from an attorney well versed in the rules and practices associated with FINRA. Business Trial Group attorneys have helped hundreds of investors and shareholders recover compensation for their investment losses and are highly qualified to help you through this difficult time. Contact our business litigation lawyers to learn more. Business Trial Group attorneys are well-versed in handling claims for professional liability and have recovered millions of dollars for clients that have been damaged by the errors of their attorneys, accountants, and insurance professionals. We firmly believe that when an individual turns to a professional for help, he or she has the right to receive the highest level of service and care. If an attorney, accountant, or insurance agent fails to carry out their responsibility, our team can assist in recovering your losses. Our Fort Myers attorneys regularly handle claims for accountant malpractice. Accounting malpractice occurs when accountants make an error, omission, or deviation from accepted accounting principles that financially damages their client. If you believe you may have suffered losses due to an error on the part of your accountant, it is important to consult an attorney that is familiar with accountant liability and prosecuting malpractice insurance claims. Businesses and individuals often rely on the advice of insurance agents and brokers to select the proper policy for their needs. In today’s complex insurance market, agents or insurance brokers will identify the insured potential risks, address coverage gaps, and suggest the proper amount and type of coverage needed. When insurance agents or insurance brokers fail to competently perform their duties, the insured can be left with significant economic damages, but insufficient insurance coverage. Our accomplished Fort Myers attorneys can help you file a malpractice lawsuit to recover damages when insurance agents of brokers fail to properly protect you, your family, your home, or your business. If you have been damaged by the errors of an attorney, accountant, or insurance professional, you may have legal recourse. Contact our Fort Myers business litigation attorneys for more information about your rights. If you have a dispute and you are unsure of what your next steps are, contact our Fort Myers real estate attorneys to for a free case review today. Our Fort Myers partnership and shareholder attorneys can also help victims of “shareholder oppression.” Shareholder oppression occurs when the rights of minority shareholders are undermined by majority shareholders. Although minority owners cannot force the majority owner to act fairly, they do have a remedy for the majority owners’ misconduct – a lawsuit for breach of fiduciary duty. Our Fort Myers shareholder oppression attorneys can assist minority owners in requesting money damages, dissolution of the company, and, in unique circumstances, a court-ordered buyout to recover the fair market value of their shares. If you have suffered losses due to misconduct related to a partnership or closely-held corporation, or believe your partnership or shareholder rights have been violated, contact our Fort Myers partnership and shareholder lawyers today. Our Fort Myers trust and estate litigation attorneys assist individuals who are being wrongfully denied their inheritances, which can include personal property, real estate, money, or anything else mentioned in a trust or will. The Business Trial Group’s probate attorneys represent beneficiaries in suits against trustees for mismanagement of assets and breaches of fiduciary duties. We also regularly handle lawsuits regarding the use of undue influence to wrongfully receive money or property. Fiduciaries, such as trustees, guardians, or personal representatives, must act within the strict rules and ethical standards established by the law. Those who willfully break these requirements can be subject to lawsuits to compensate victims for their financial losses. To find out more about how our Fort Myers probate attorneys can help you, contact us today by filling out our free, no-obligation case review form. Our Ft. Myers business attorneys work on a contingency-fee basis, so you will not pay attorneys’ fees unless we prevail, and these fees will be paid solely from the recovery in your case. This contingency-fee structure has tremendous advantages over traditional hourly billing, which can be prohibitively expensive for small businesses and individuals, often preventing them from seeking legal recourse through litigation. We believe that small businesses and individuals have the right to file lawsuits and seek justice, regardless of whether they are able to pay hundreds of thousands of dollars in up-front legal fees. For the past 25 years, Morgan & Morgan has helped clients win lawsuits against large corporations and powerful individuals alike. The Business Trial Group was founded in order to make justice accessible for all businesses and individuals in Florida, regardless of size or financial strength. Our team of talented business litigation attorneys can tackle almost any type of commercial dispute, with the sole focus of winning your lawsuit. With offices in Fort Myers, Naples, and throughout Florida, we have a home-field advantage wherever the venue of your case. 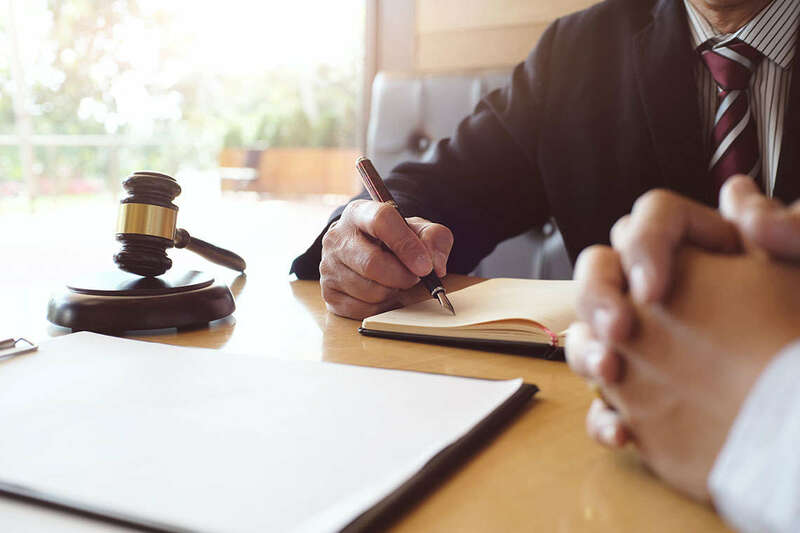 To learn more about the Business Trial Group and how our attorneys can help you, contact us for a free consultation by filling out our online case review form.